Welcome to Australia ‘s best Top Gun Jet Fighter operation in the modern L39 Albatros based in the Hunter Valley N.S.W, This region is Australia’s new weekend destination right in the fine wine & dine district of Pokolbin, ” Australia’s Adventure Capital”. The people of Perth Western Australia have been coming to Jet Flight Australia in N.S.W for many years and taking the Gift of a Life Time in the FASTEST RIDE IN THE COUNTRY. Many people travel cross the globe to fly with our Jet Fighter In the Hunter Valley. In conjunction with Tourism Australia we endeavor to keep our tourist dollar within Australia and assist the people of Perth in traveling to the Hunter Valley to fly in our Modern L39 Fighter Jet, not just as a passenger but as a Jet Flight crew member ! !, call or email Mark at mark@jetride.com.au or Free call 1300 554 876. 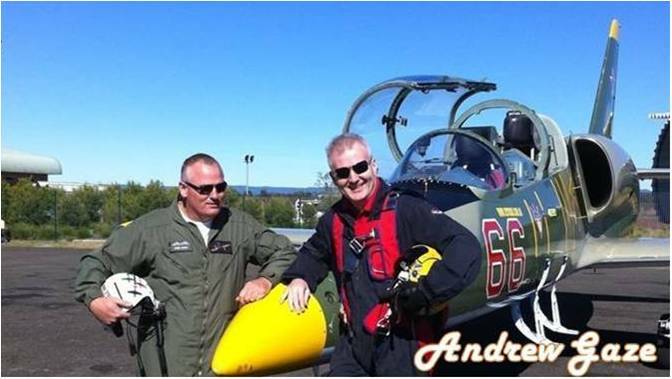 You can purchase Jet fighter Gift Packages for Birthday Presents, Father’s Day , Mother’s Day, 21st Birthday Gift Idea, 50th Birthday Gift we can cater for any age over 18.